The in basket: Beth Hill says there are at least two recessed drains on westbound Ridgetop Boulevard near its intersection with Silverdale Way that appear to have dropped down, three inches deep, she guesses. The out basket: The county doesn’t see a problem. Dave Marquis, its utilities maintenance supervisor, said he drove Ridgetop Boulevard both east and westbound. “Most basins are at an ideal elevation,” he said. “There are a couple that may be close to 2 inches below the travel way, but they have a taper into the grate and are on the steeper portion of Ridgetop, which is needed in order to capture the water. I drove it after Beth called and I think I know which two drains she means. They are on a flat stretch of Ridgetop and could be leveler, but I have to agreed with Dave that a person would have to be driving unusually fast unusually close to the curb to get jolted very hard even at those two. 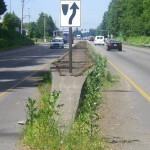 The in basket: I was intrigued by an odd paving project done on Wheaton Way north of Sheridan Road the week of June 14. It was a continuous narrow strip of new asphalt after the old was dug out, running north from in front of Albertson’s in the northbound outer lane. The state’s project information list said it would run all the way to the city limits at Riddell Road and all the way back to Sheridan. I wondered what on earth required it. It looked like perhaps some past utility trench wasn’t repaired correctly. The out basket: The project list description was misleading, as the dig-outs and pavement replacement took on the more familiar intermittent pattern after it got north of Sylvan Way. Only a few places were patched in the southbound direction, once again near the curb. Duke Stryker, head of maintenance operations for state highways in Kitsap and Mason counties, said the street, which to the state is Highway 303, was identified as a trouble spot in their annual spring review in which a state materials engineer drives state highways with local maintenance crews to plan the year’s pavement repair. Duke said the outer wheel rut carved by millions of cars over the years, worsened by water accumulating against the curb, caused the deterioration. The three wheel ruts farther from the curb didn’t have the excess water to worsen the wear. The outer rut pavement was badly “alligatored” and needed replacement, he said. . It took them a week. This week (June 21) the crews are doing similar work on Highway 3 in Gorst. Tuesday and Wednesday, they’ll be closing the Purdy Bridge at the east end of Highway 302 to repave it. The Gorst and Purdy work will be done at night. Purdy traffic will be detoured via Pine Road and other local streets during the closures. Who cleans up pavement after a crash? The in basket: Bill Dagsaan called to ask who is responsible for cleaning broken glass and other debris from the roadway after a collision. There was an accident on Warren Avenue in Bremerton between Sixth and 11th streets early in early June and there was still a lot of glass on the pavement after the emergency vehicles left, Bill said. “I felt it was a hazard to passing traffic,” he said. The on-scene officer is charged with seeing that it gets done, he said. Department of Transportation sometimes does it or helps. The in basket: An Olalla woman who wants to go by only H.B. writes to ask about the legal status of the many teenagers she has seen long-boarding on the public roads. “Usually the teenagers are riding down the center of the lane (with or without helmets) and weaving to pick up speed. Of particular concern to me is the fact that they are also riding down very steep hills, such as the one on Forsman Road. She worries about one of them wiping out and falling into the path of her car, she said. The out basket: Deputy Scott Wilson, spokesman for the Kitsap County sheriff, says skateboarders are regarded as pedestrians and must comply with laws governing pedestrians. That includes riding toward oncoming traffic, not in the same direction, and staying as close as manageable to the left side of their lane. He called H. B.’s concerns “not only valid, but validated many times over with critical and fatal injuries sustained by those using skateboards on roadways. “Fortunately there are now skate parks established and in use in various areas around the county. Unfortunately, many skateboarders still want the added thrill of the open road. He quoted the state law’s definition of a pedestrian as “any person who is afoot or who is using a wheelchair, a power wheelchair, or a means of conveyance propelled by human power other than a bicycle. 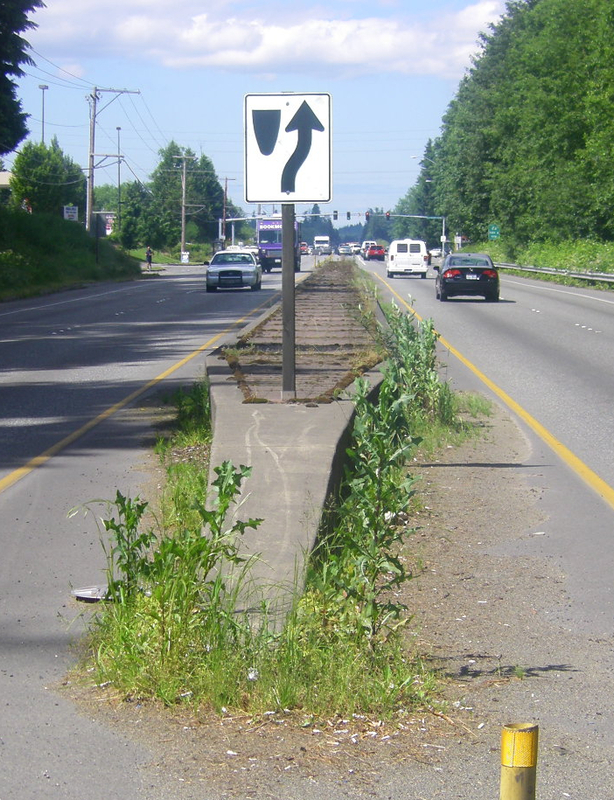 “Where sidewalks are provided it is unlawful for a pedestrian (skateboarder) to move along and upon a roadway. “Where sidewalks are not provided a pedestrian (skateboarder) moving along and upon a roadway shall, when practicable, move only on the left side of the roadway or its shoulder facing traffic approaching from the opposite direction. “Those on skateboards must yield to pedestrians on foot. “A violation of these (rules) could result in the issuance of a notice of infraction to the offender. “(State law) and county code does not address the issue of safety helmets for those using skateboards. However, I think that we all realize the necessity of this valuable piece of safety equipment,” Scott concluded. The in basket: Gary Reed asked on the Road Warrior blog at kitsapsun.com what the plans are for repairing the washout on old Wheaton Way near East 18th Street in Bremerton, one victim of the infamous December 2007 deluge. Since then concrete barrier has sealed off the steep embankment at that site and traffic lanes have been narrowed and moved away from it. While I was inquiring, I asked about yet another washout from that storm, which has reduced Sand Hill Road in North Mason County to a single lane past the same kind of concrete barriers. The out basket: Larry Matel of the city of Bremerton street engineers and Mason County engineer Bob Thuring say both their jurisdictions are awaiting bureaucratic approval to get the repair done this year. Bob’s reply nearly echoed Larry’s. “We have a complete design and have acquired the easements from (the state Department of Natural Resources) for construction. We are currently working on getting approval of our right of way plan through the state department of transportation. At that point WSDOT will release the construction funding and we can advertise the project. I really hate to speculate on how long that process will take but we plan to build the project this summer/fall. The state must approve the work because it administers federal “pass-through” money such as will pay for most of the work.